Starr Scott Burke Nice colors. Bev Regimbal Is it hanging in your store yet Angela? Cindy Irwin Haddick Ohhhhh that’s quite fun! Love it!! Kathryn Perry Pulliam Yes!! You did it. Tammy Huffman Gardner Thanks for posting this!! I had to re-draft it to make it this big- not the easiest task... Pat, I believe it was 9 X 10 blocks, but it's been a while since I made it, so I don't remember for sure. It was certainly a challenge, but I love a challenge! Thank you! 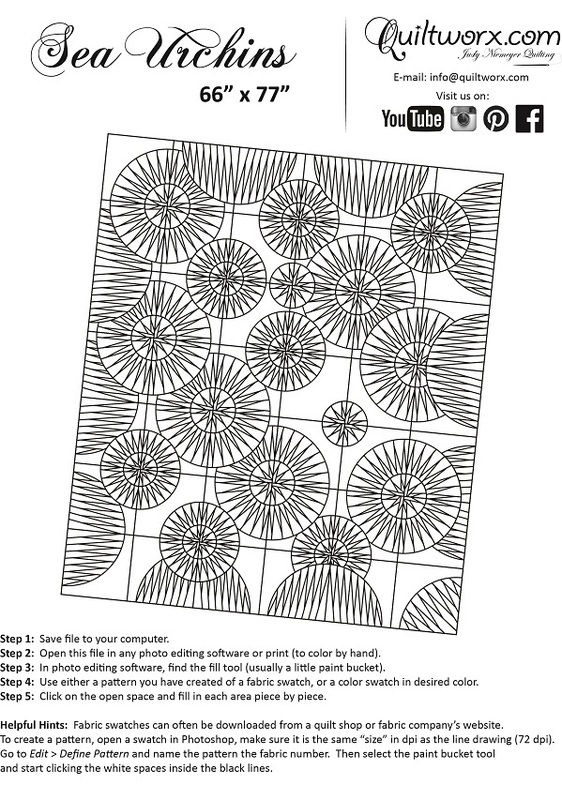 Mary Karen Gurtler My son wanted this in King size for his wedding quilt but I was too intimidated. Brenda Barnett Retzlaff Very pretty. Frances Elsheimer Wonderful. So many points. Chris Tutlewski Beautiful-do you sell them? Carolyn Hitner Beautiful and eye catching. 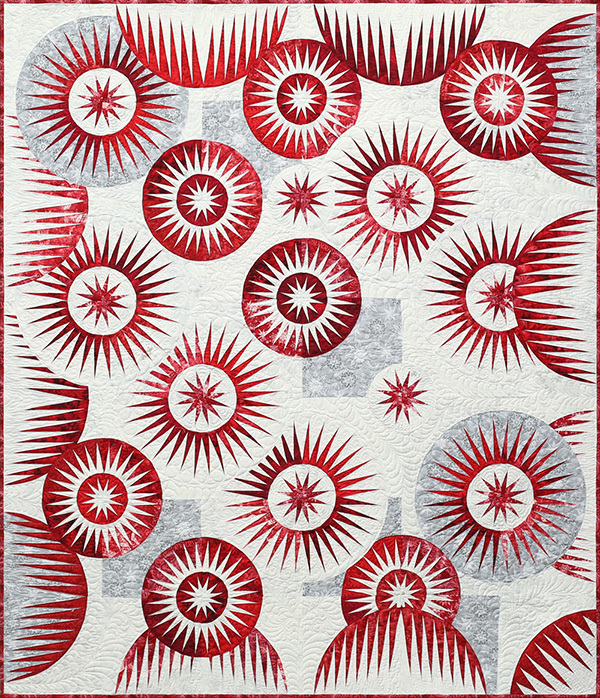 Sea Urchins, Quiltworx.com, Made by Deborah Greenway and quilted by Jo Northcott. MP Mullen Oh my! Luckily in this case "ignorance is blis"! Linda Betchart Simon That's an eye popper! Awesome colors! Pamela Bell Another spectacular quilt! Pat Nash Morgan AWESOME quilt & even better Judy Teacher! Beckie VanBruaene Eichstadt Love it!!!! Looks like my next project. 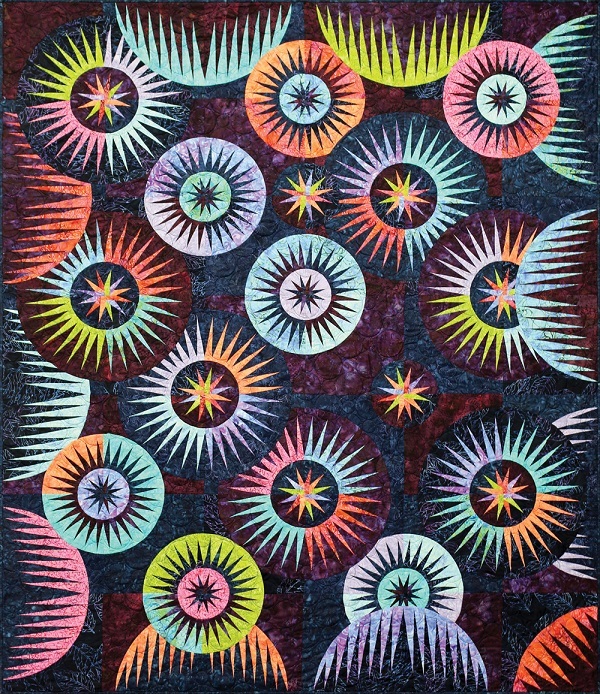 Sea Urchins, Quiltworx.com, Made by Jan Soules. Diane Mitchell Jan, another gorgeous one! Terri Budesa Nice work Jan. Hope to see it at PIQF in October ! Shirley Alleyne Beautiful...love the pattern and the color selection! 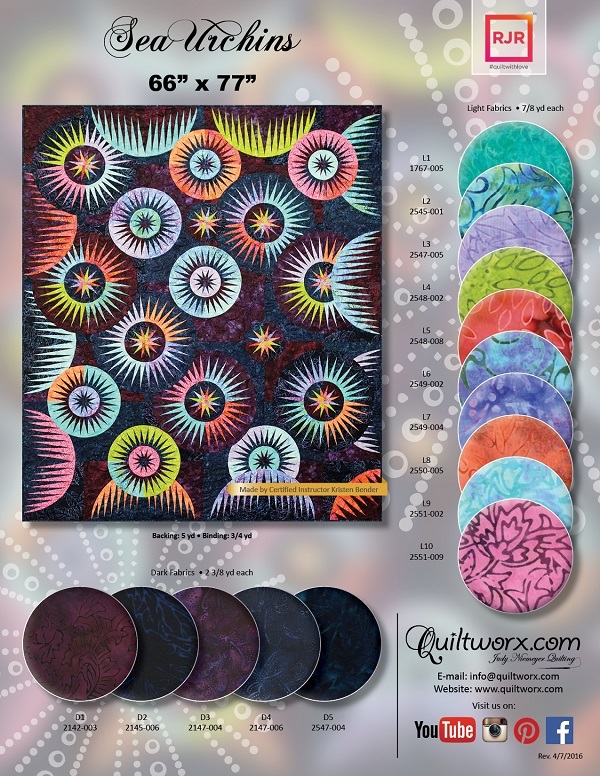 Sea Urchins, Quiltworx.com, Made by Mary Plas & Quilted by Kathleen Crabtree. Ida Lawson This is on my 'gotta don't list!! beautiful quilt!! 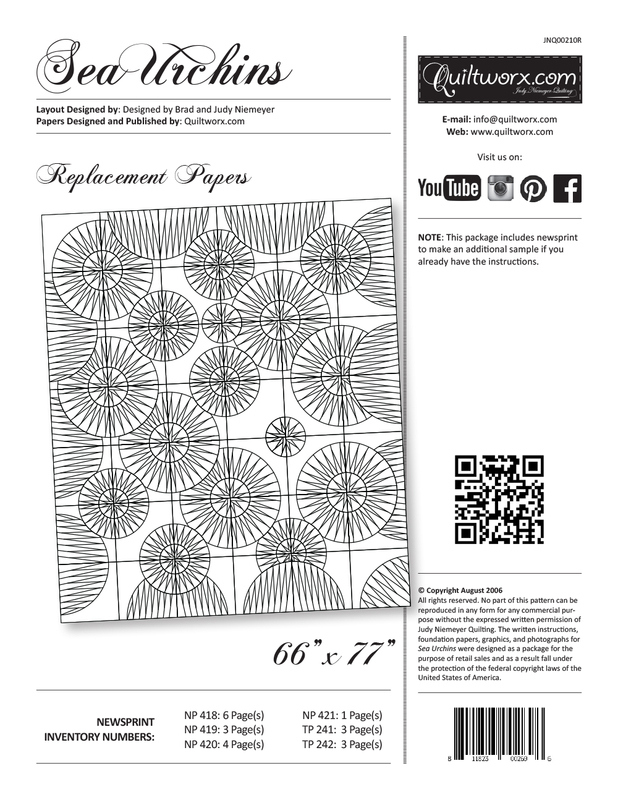 Sharon Farrell Like to copy this pattern. 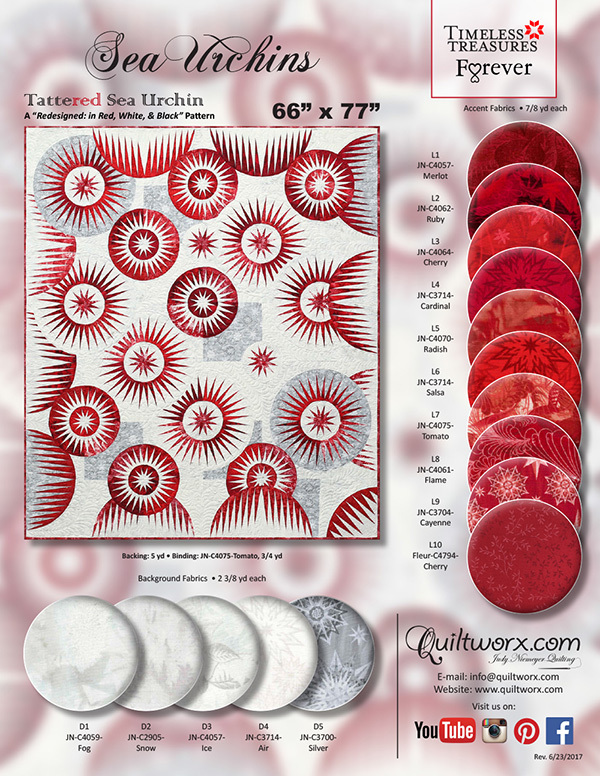 Sorry, there are no classes scheduled for Sea Urchins 2015 at this time.